Colin James in Montreal or Quebec City? Inform me about the next events for Colin James. Enroll yourself to our priority waiting list for Colin James to be alerted when new tickets are available. Filling this form doesn't engage you to any purchase. 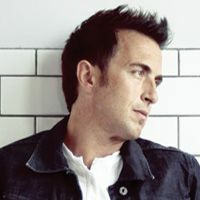 Colin James Munn was born in Regina, Saskatchewan. He is a singer and blues rock guitarist. He taught music on a local reserve when he was younger. He moved to Vancouver in 1980. He has 15 albums to his credit. He will be performing at the Théâtre du Nouveau Monde 25-26-27 June 2015.